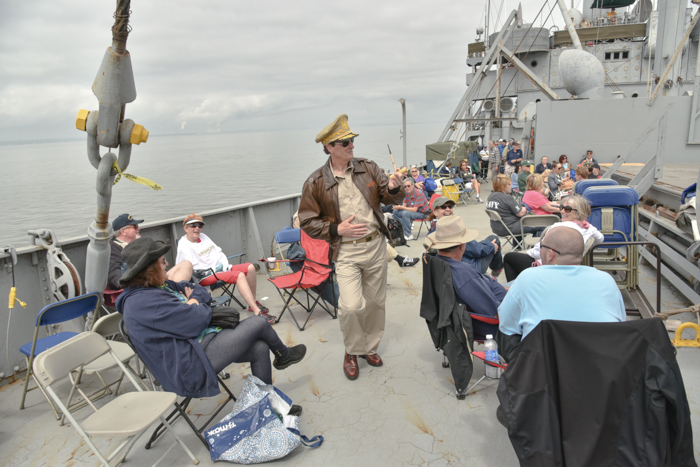 The JOHN W BROWN hosted the first Living History Cruise of the season this past May 9th. Typically a crew favorite, this was the Veteran's Cruise to honor those that served. We also had some special guests on board including a Bethlehem-Fairfield Shipyard worker who made his first weld on the JOHN W BROWN and lots of Liberty Ship Veterans in town from all over the country for the AMMV (American Merchant Marine Veterans) convention. Chester, who will celebrate his 100th birthday in two months, came on board with his hard hat. He was more than happy to show crew members just where on the BROWN the first weld he made is located. He was a pleasure to talk to and he enjoyed being the center of attention. General Bradley stopped to talk with him and The Manhattan Dolls even sang a special song just to him. Morris Harvey National president of American Merchant Marine Veterans was our guest speaker. The group was in Baltimore for a convention and a bus load of attendees were happy to be able to come on the cruise. Lloyd graduated from Kings Point class of 1946 and was the 2nd mate on board liberty ships. He came up to the Flying Bridge to meet our 2nd mate and the captain. Dr. Fred Lewis was one of two winners this cruise of the auction to take a turn at the wheel. The Manhattan Dolls entertained guests throughout the cruise. The Ultimate Abbott and Costello Tribute Show, with Scoops of course, explained the fine details of horse racing and baseball player's names much to the delight of guests. The Calliope Barbershop Quartet roamed the decks and serenaded lucky ladies bringing smiles to all their faces. They also kept guests entertained as they waited in line to disembark. As a matter of fact they serenaded crew members before they even got on board. What a great way to start the day! 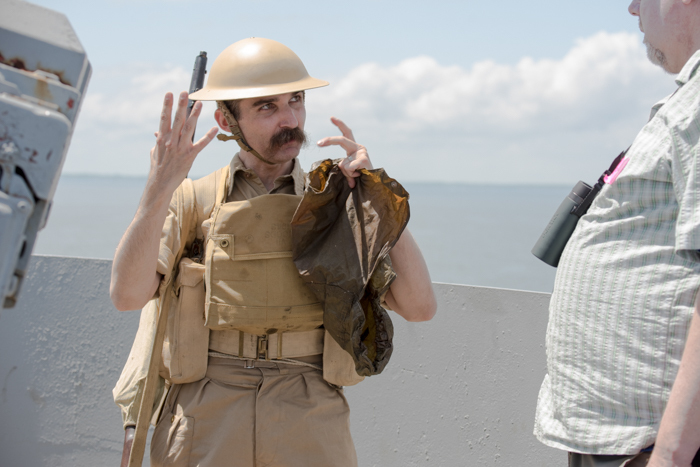 Reenactors enjoy sailing with us and interacting with our guests. You will see people dancing. Once the music starts they can't keep their feet still. Guests take time during the day to wander the ship on a self guided tour. The ship and crews quarters are maintained the way they would have been in 1941 and we have multiple museums and museum spaces to investigate. After a foggy start to the day, we had perfect weather to spend time on deck too. There are great sights that are part of the cityscape and some that are unique to each cruise. Fort McHenry stands proudly at the mouth of the Inner Harbor and Fort Carroll by the Key Bridge. 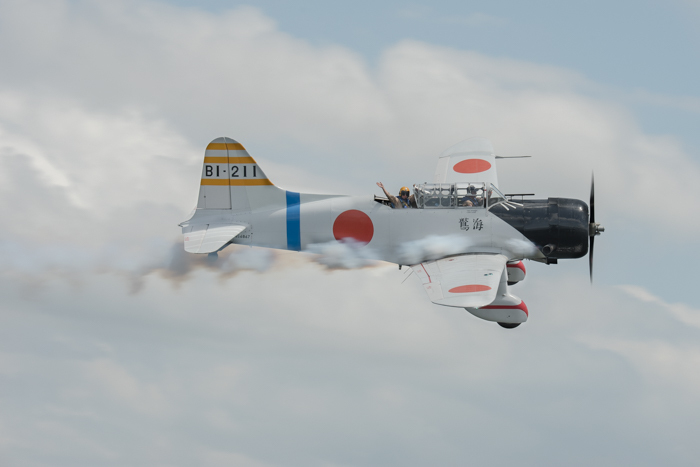 The planes from the air show are a cruise highlight. 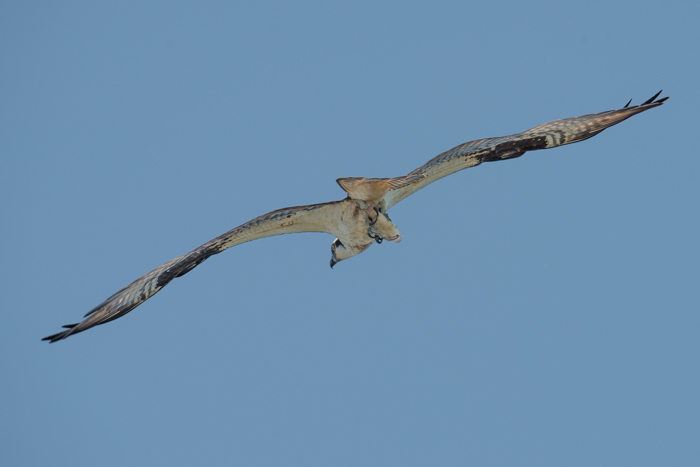 We had an osprey, complete with fish, fly over in between the planes and we passed a car carrier, which is a sight considering how big they are! Passengers got to see the USS Savannah docked at Pier 13. Finally one of the Moran tugs that brought us back to the cruise terminal greeted us in style with their water cannons. Whether it's your first time sailing with us or you visit us many times we always see you smile. And knowing that our guests enjoy themselves makes us smile. Thank you all for joining us! Next cruise is coming in June and we still have tickets available.